Some help this guy is. Ha, I tried hard to make the horse look somewhat decent. I wanted him to be special, not “special” like Benedict’s horse. From Paul’s expression here, I’d say that he prefers the electric guitar over the acoustic one. I don’t think that Harold guy understands the difference? I don’t know if Paul is going to have another alternative to the acoustic guitar tonight. I was laughing at your “skipping through the flowers” comment thinking this isn’t that type of comic… except it already happened on page 8 of this issue. Yay. 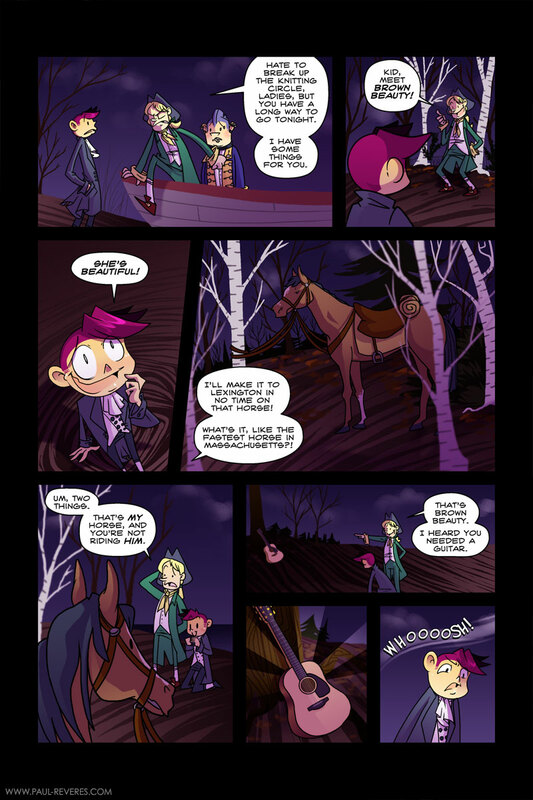 I owed you a laugh from the third page of issue one. ^.^ I’ m really excited to see some ‘combat’. I was sketching those pages this afternoon. :) As soon as everyone gets to Lexington, it’s on! Not much longer! He’s now one of my favorites lol. Hehe, glad you like him. I don’t know why I have so much fun torturing the poor kid. Thanks! I had written dialogue for him there, but I didn’t think it was needed because the face was already ridiculous. Bagpipes? Plaid? But John Paul Jones was a privateer! I know, right? 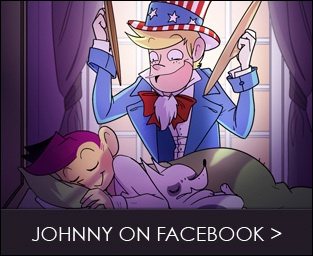 It’s the only horse in this comic that doesn’t look like it was inbred and this guy gets it… and he doesn’t share! I love the new character! And I think this page is so adorable! :] harold doesnt deserve that horse… LOL anywho, very cool character! FINALLY PLAID! i was beginning to wonder were all that punk plaid had gone xD LOL teeheee. do u kno his name so far? Glad you like the new character! His design isn’t final yet and I don’t have a name either. He’s from Scotland, so I need to do some more reading on those soldiers. I also need to pick a uniform for him. The plaid one he’s wearing in the sketch is from the 1750’s or something. Doesn’t really work, but there will be plaid! Haha, I dunno. Scotty is too Star Trek for my taste. 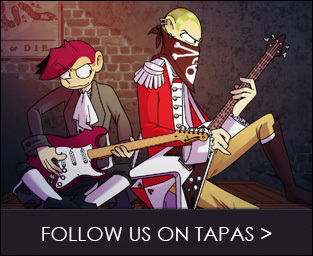 The Hessians are definitely going to be in the comic. I have a thing for German rock music, so I has plans. Thinking of them being a Neue Deutsche Härte band. 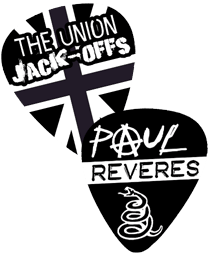 Only The Paul Reveres and The Union Jack-Offs are going to be punk. Should be fun. OH YEAH! GO HESSIANS! >8D WOOT WOOT im reallly gonna look forward to him :] and the awesome hessians! Horse > guitar. Poor Paul. He never gets a good deal. I loved your vote incentive (again). He looks like he would come right out of NANA…and you can never go wrong with bagpipes. NANA, really? I think it’s those white shoes?